With the AAA Member Rewards Visa, you can earn unlimited rewards that you can redeem for cash back, statement credit, gift cards, air travel, car rentals, hotel stays, or AAA vouchers. If you're not familiar with AAA, it's a non-profit member service organization that provides travel assistance services like emergency roadside assistance to its members. The AAA Member Rewards Visa has a great rewards program, especially for frequent travelers. Cardmembers earn 3X points on qualifying AAA and travel purchases. This includes purchases made with an airline, car rental agencies, hotels and resorts, cruise lines, and travel clubs. Gas, grocery store, and drug store purchases earn 2X points, and all other purchases earn one point per dollar. Bank of America Preferred Rewards clients gets an additional 25% or more rewards bonus on every purchase. Earn a $100 statement credit if you spend at least $250 on credit card purchases within the first 90 days of account opening. It can take eight to 12 weeks for the statement credit to apply to your account, which means it can take up to six months from the time you open your account to receive the statement credit. 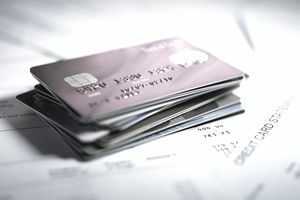 If you have balances with multiple interest rates, the statement credit will apply to the balance with the highest APR. Reward redemptions start at 2,500 points for air travel and 5,000 points for cash. While there is no cap on the amount of rewards you can earn, rewards are valid for only five years. There are many rewards cards on the market that do not put an expiration on your rewards points. There is no annual fee for the AAA Member Rewards Visa, which means you can enjoy the rewards and perks of the credit card at no cost as long as you pay your balance in full each month to avoid interest. The APR for purchases will fall between 13.24% and 23.24% depending on your credit history. A higher credit score puts you in a position to qualify for a lower interest rate. The card offers 0% APR for the first 12 billing cycles on balance transfers made within the first 60 days. Keep in mind that 12 billing cycles may be a little shorter than 12 months, so it's important to keep up with the timing of your introductory offer. After the introductory period, the balance transfer APR will be 13.24% to 23.24% depending on your creditworthiness. Balance transfers are charged a 3% or $10 fee, even transfers made within the introductory period. The APR for cash advances is 16.24% to 25.24% for direct deposit and check cash advances with a fee of $10 or 3%. Bank cash advances are charged a 25.24% APR and $10 or 5% fee. Bank cash advances include (but are not limited to) ATM, over-the-counter, and cash equivalent transactions. You can use your AAA Member Rewards Credit Card as overdraft protection for your Bank of America checking account. Overdraft transfers will be made as needed in increments of $100. A $12 fee applies for each transaction only if your overdraft amount is greater than $12. When it applies, the penalty APR is 29.99%. Be careful; if your APR is increased to the penalty rate, it will apply indefinitely. Foreign transactions are charged a 2% fee. Late payments are charged a fee up to $37 and returned payments are charged a fee up to $27. Is This Card Worth It? You don't have to be a member of AAA to apply for this card, which is a plus. The rewards and statement credit are a great perk. While the 0% balance transfer offer may be tempting, transferring a balance makes it harder to earn the statement credit or rewards. Credit card terms and sign-up bonuses are subject to change from the time of this review. Refer to the application for current terms and conditions.